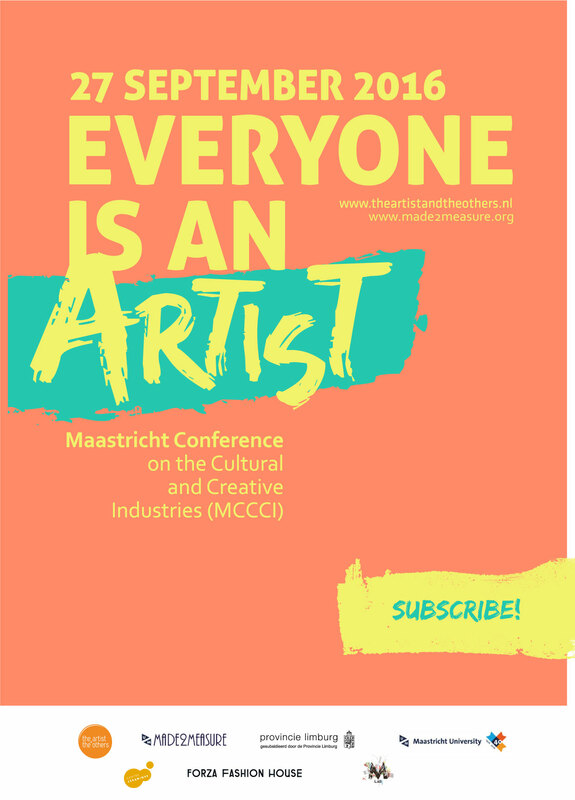 Last September, The Artist and the Others in cooperation with Made2Measure organized “Everyone is an artist” the first Maastricht Conference on the Cultural and Creative Industries. If you would like to know the all program, check here. The conference was supported by Province of Limburg, Gemeente Maastricht, Maastricht Lab, Forza Fashion House, CollectorIQ and SWOL.